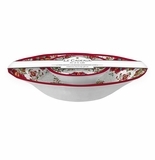 Entertain outside in style using virtually unbreakable Le Cadeaux melamine dinnerware in Allegra Red from Distinctive Decor. 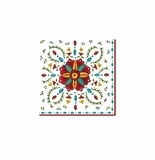 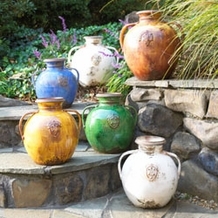 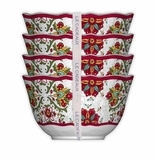 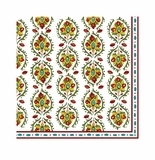 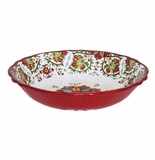 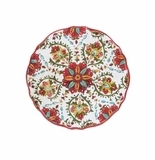 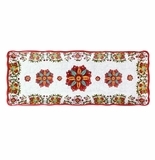 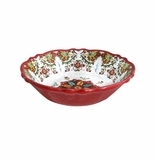 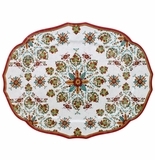 The Allegra Red pattern has a bright red floral motif with splashes of gold, green and aqua on white. 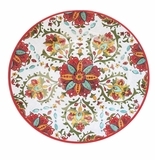 Many pieces have bright red edging, too. 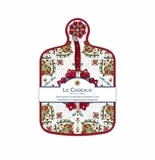 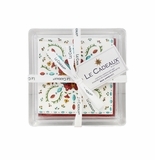 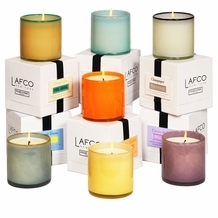 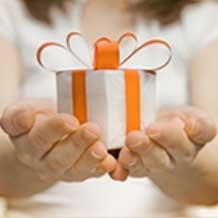 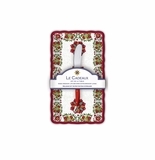 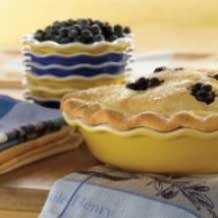 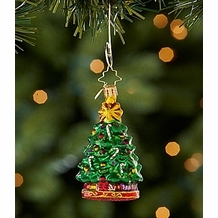 All Le Cadeaux dishes are lead, cadmium and BPA free. 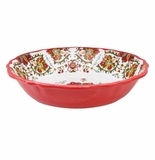 These dishes are dishwasher safe, but not recommended for microwave use. 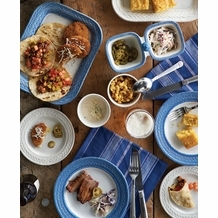 These heavy-duty plastic tableware pieces are not your grandmother's melamine. 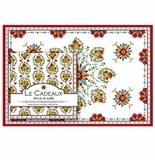 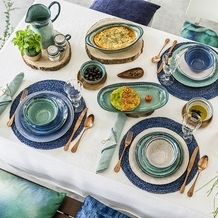 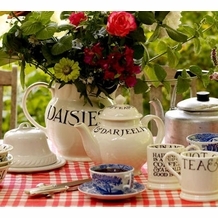 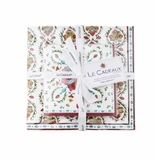 Le Cadeaux's melamine is heavier and stronger than old-fashioned melamine. 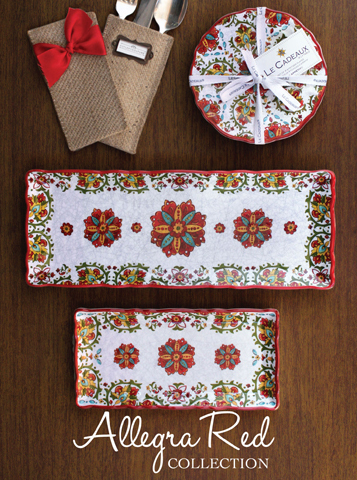 Our Allegra Red collection includes dinner and salad plates, pasta and cereal bowls, family-style oval serving platters and appetizer plates. 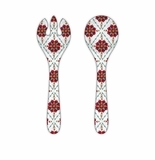 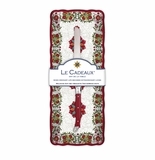 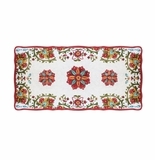 We have melamine baguette and biscuit trays in the Allegra Red pattern by Le Cadeaux. 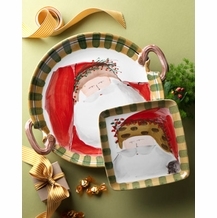 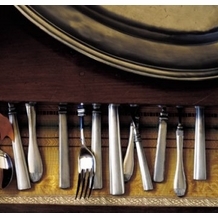 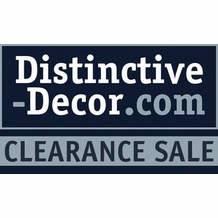 Add cheese board sets, serving bowls, cake platter sets or four-piece dessert bowl sets. 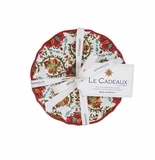 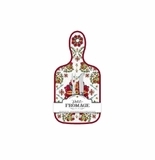 Also shop our coordinating La Cadeaux polycarbonate wine glasses, tumblers and pitchers.